20 years ago everything started in the former weaving mill. The spinning mill in Traun has cult status as an event centre in the region. Now, not far from the old location, a new building has been built. On an area of 1,500 square metres, the new spinning mill offers plenty of space for stage art, concerts and all kinds of other projects and events. 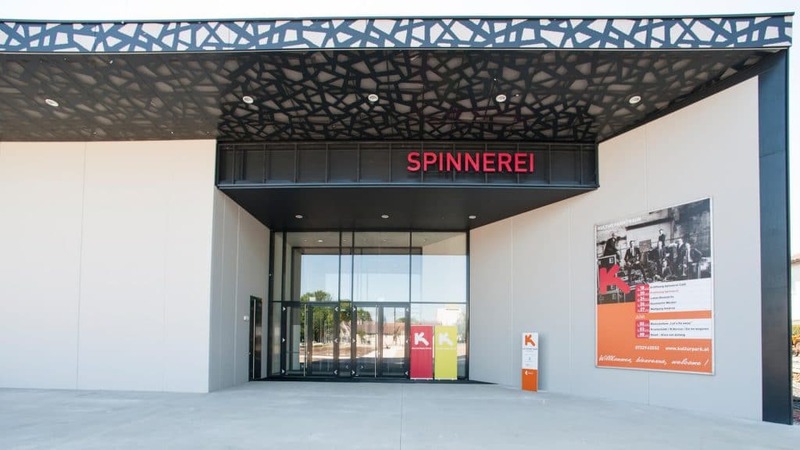 TEAM M Architects from Linz planned the new spinning mill in Traun and attached particular importance to corporate branding. The aim of the architects was to create a spiderweb-like latticework to symbolically refer to the name of the cultural centre “Spinnerei”. DOMICO gladly accepted this challenge and developed a new façade panel together with the architects. 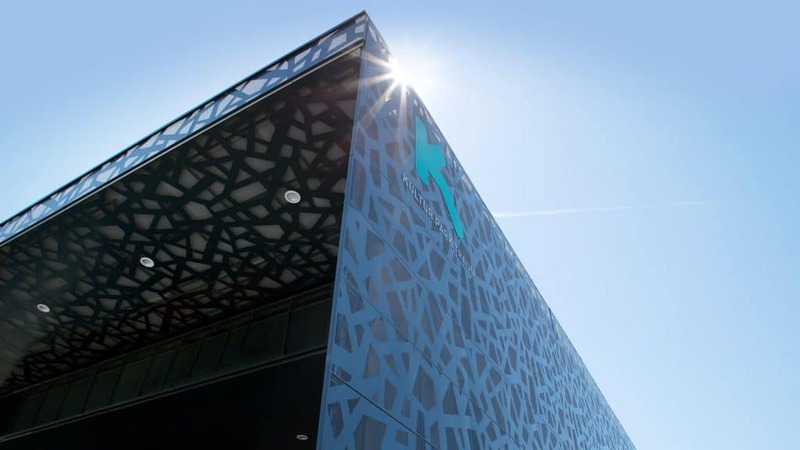 DOMICO developed a perforation system with which it is possible to project any desired image, logo or lettering into the proven Planum façade. Here you will find the technical data. The client and planner chose aluminium in anthracite grey (RAL 7016) as the material. 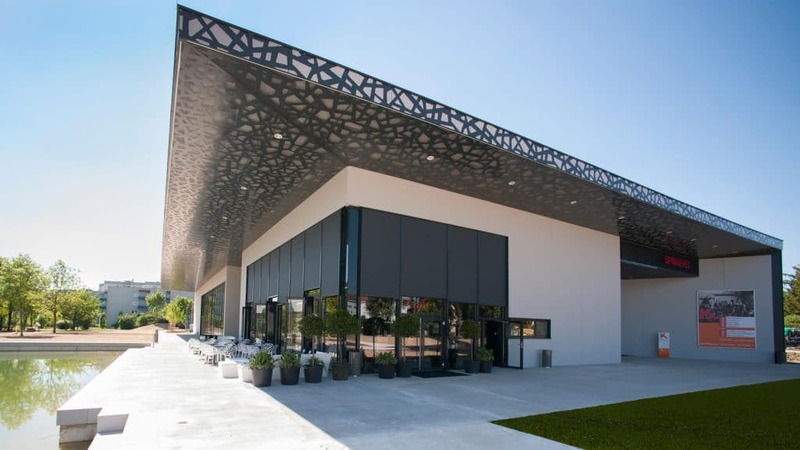 This also makes this building a statement in terms of sustainable construction, as DOMICO’s constructions are 100% recyclable and, above all, particularly durable. 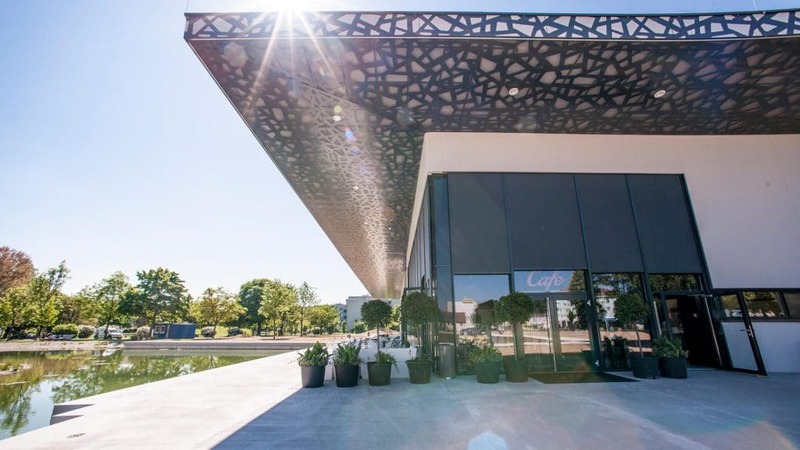 On 20 May, the new event centre in Traun was officially opened with a glittering celebration. On Saturday Klaus Eberhartinger moderated the big opening party, musical highlights were provided by pianist Daniel Ecklbauer and the Hot Pants Road Club with frontman Andie Gabauer. 1.500 visitors and numerous guests from politics and culture had a brilliant evening, admired the new building and last but not least the outstanding facade as an eye-catcher. For DOMICO, the opening of the new spinning mill also marks the birth of the further development of the proven Planum profile. Once again, DOMICO has impressively demonstrated that there are no limits to creativity and innovation.